What Zoho Creator Triggers and Actions are Supported? New Record - Triggers when a new record is added to a certain application and form. Create Record - Create new record in a certain application and form. 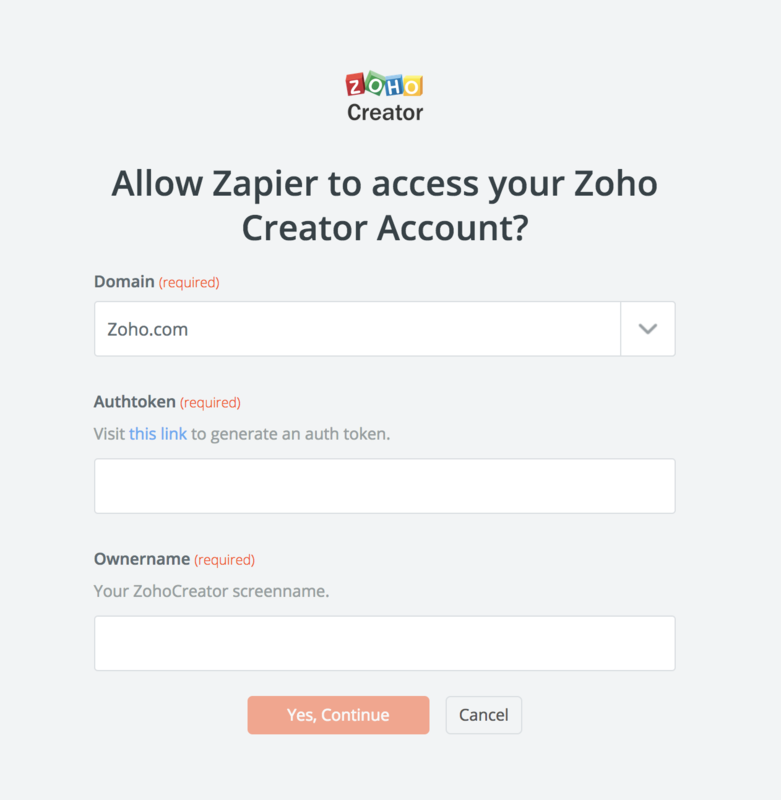 You'll then get a prompt asking for your Zoho Creator Authtoken and Ownername. 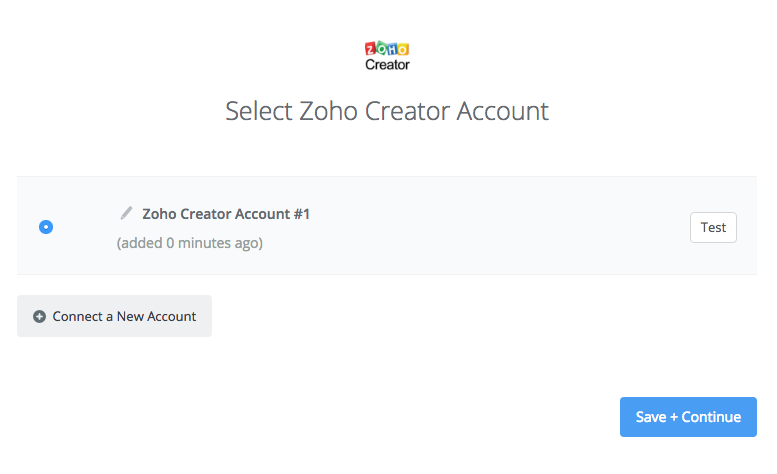 Log into your Zoho Creator account (unless you are already logged in). 3. In this example the Ownername is Zapier. Once you have both your Authtoken and Ownername paste these back into your Zapier account and then “Yes, Continue”. If all steps were successful your Zoho Creator account will now be successfully connected. Right now, we only have file support for a limited number of apps and unfortunately, Zoho Creator is not one we have file support for. We're working very hard on an update to our file handling that should make this behavior more consistent in the future but we're not able to give an ETA on that just yet. We currently don't support radio boxes from Zoho Creator. If your form has radio buttons, you can switch them to drop down fields which are supported.